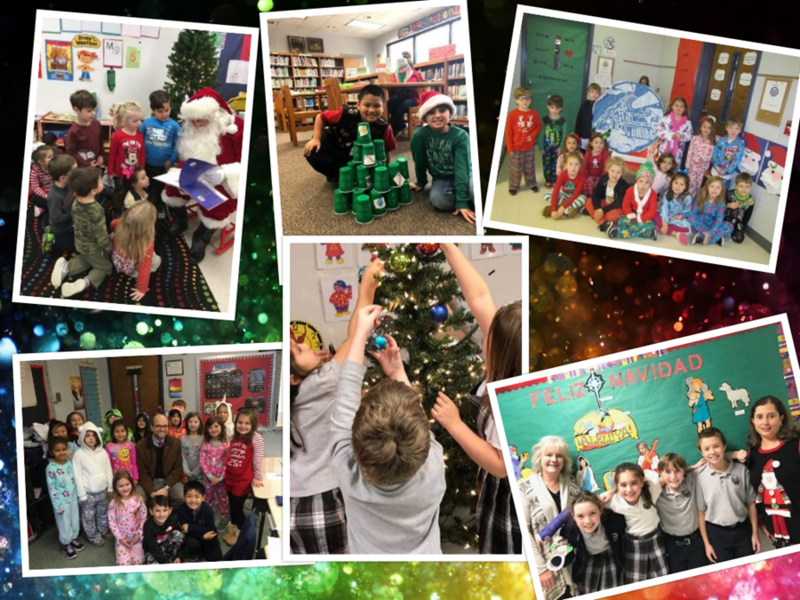 January in Catholic schools is always an exciting month. For many of our high schools, they are off to Washington D. C. to participate in the National March for Life, as many of our John Carroll students did this past week. 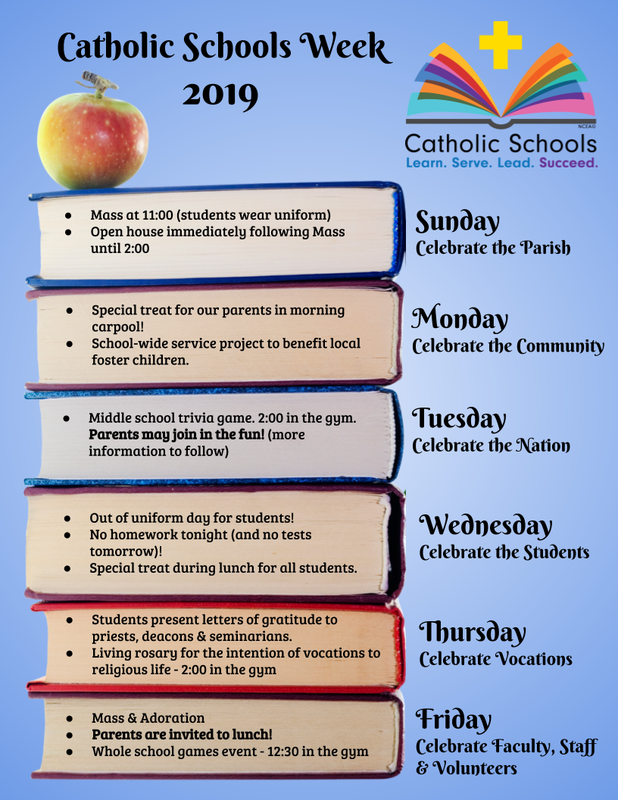 At our level, the month culminates in the celebration of Catholic Schools Week. 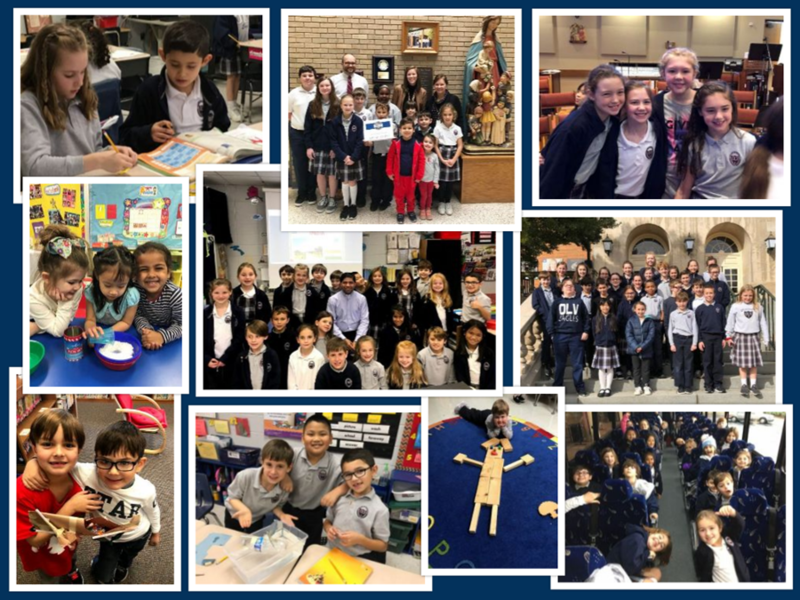 We are excited to celebrate all that a Catholic education is during Catholic Schools Week! Throughout the week, we will have various activities and special events. 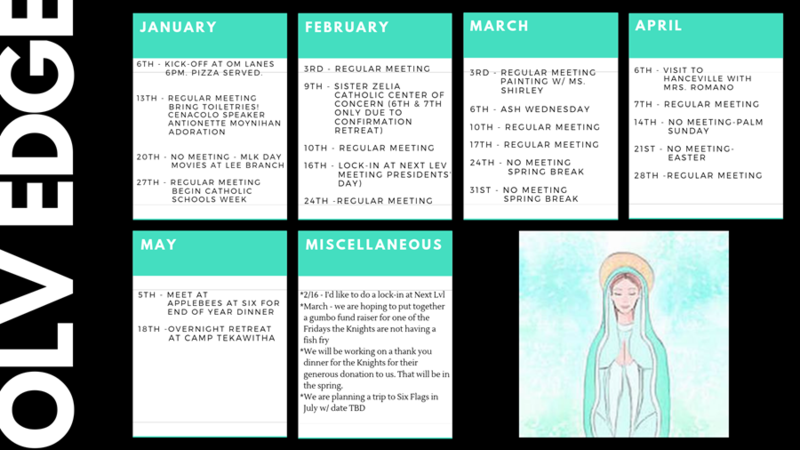 Below is an outline of the week's events. 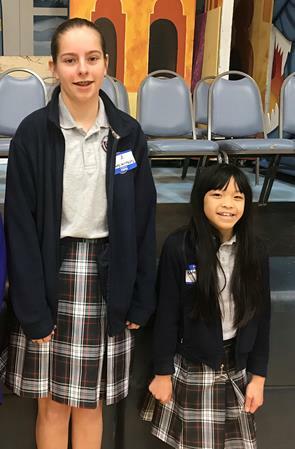 Congratulations to our 2019 Spelling Bee winner, Catherine Scheiring (8th grade)! We are proud of you and know that you will represent OLV well in the Shelby County Spelling Bee in February. 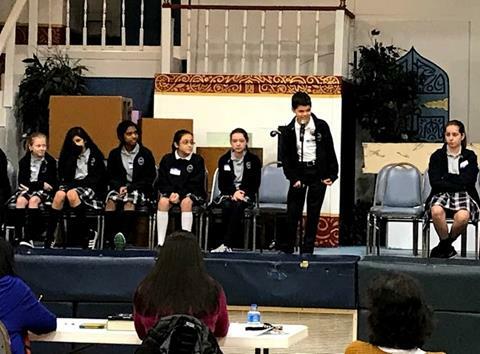 Special recognition goes out to our runner-up, Kate Nguyen (6th grade) and all the following contestants in grades 3-8, who successfully competed against their classmates to earn a spot in the school-level bee. 3rd: Dustin B., Piero C., Nick H., Gabi T.
4th: Vincent A., Kieran F., Nolan L., Braxton O. 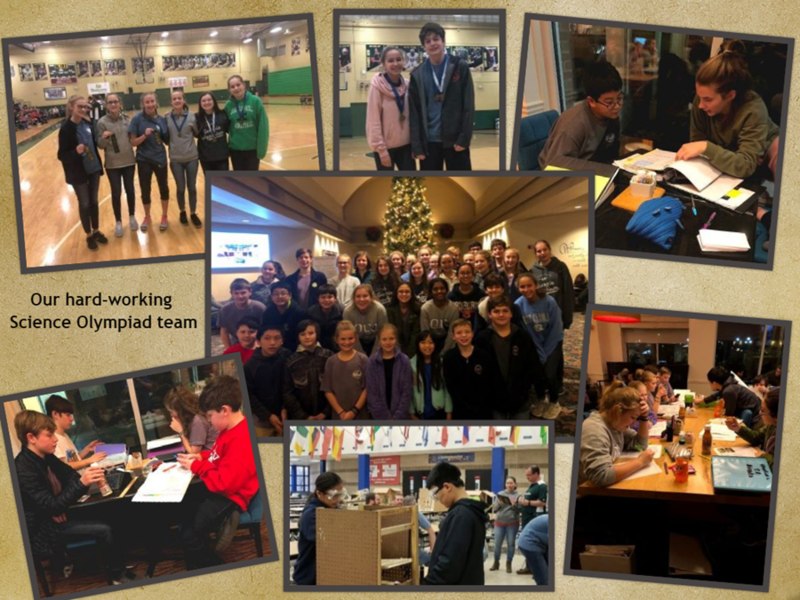 5th: Claire C., Lorelai K., Kate N., Ella W.
6th: Lucy C., Nolan C., Mary M., Will P.
7th: Elizabeth B., Amelia B., Grey H., Ira S.
8th: Lita B., Sana K., Catherine S., Isaac F.
OLV Science Olympiad Continues to Rock It! 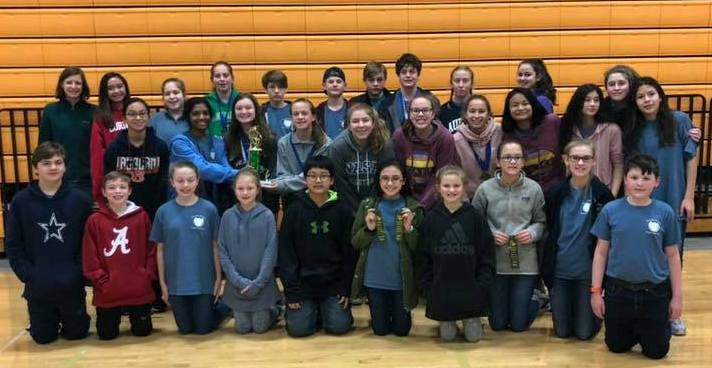 OLV Science Olympiad had a great showing this month at the Friendship Christian Invitational in Lebanon, Tennessee. Our team placed 7th overall among 30 teams, many of whom are nationally ranked! OLV was one of only two schools representing Alabama. Other teams came from Georgia, Tennessee, and North Carolina. In addition to a top-third ranking in the competition, many of our students earned high rankings in their individual events, including 4 medals! See the entire list of individual achievements HERE. The next competition will be the regional competition, which will be March 2nd at the University of Alabama. Here, the team will vie for a spot in the state competition. We are so proud of the accomplishments of this dedicated and talented group of students! Keep up the great work! Anyone interested in sponsoring OLV Science Olympiad (through donations or helping to train for events) should contact Ann Stevens at astevens@olvsch.com. Volunteers are needed for this event. Sign up by clicking on the button below. 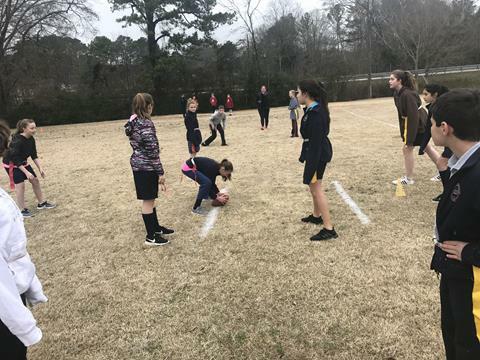 Our flag football challenge was so much fun! Many thanks to the family members that braved the cold to come out and help! Click the button below to see the results. Auditions will begin this Friday, 1/25 and continue through Thursday, 1/31. More information and audition information coming home soon! NEW... BALL site is NOW LIVE! 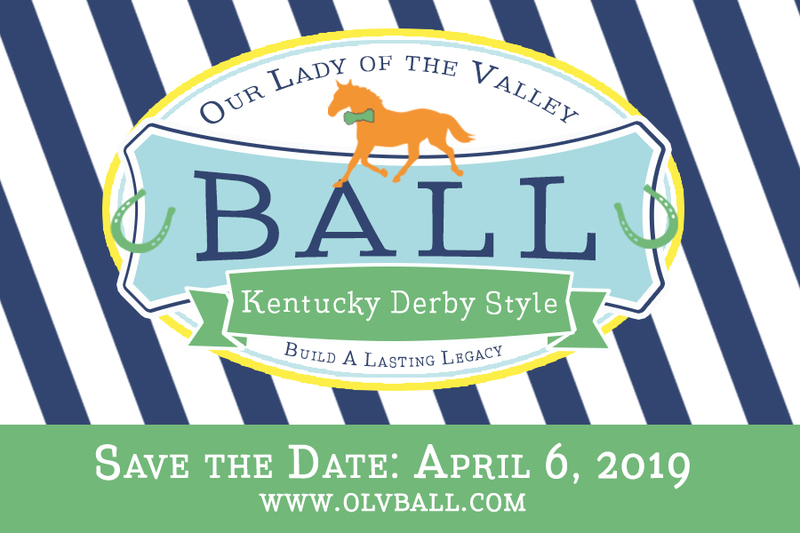 Go to olvball.com to purchase tickets & sponsorships, buy raffle tickets for a chance to win $2500, and preview auction items (available beginning March 1). 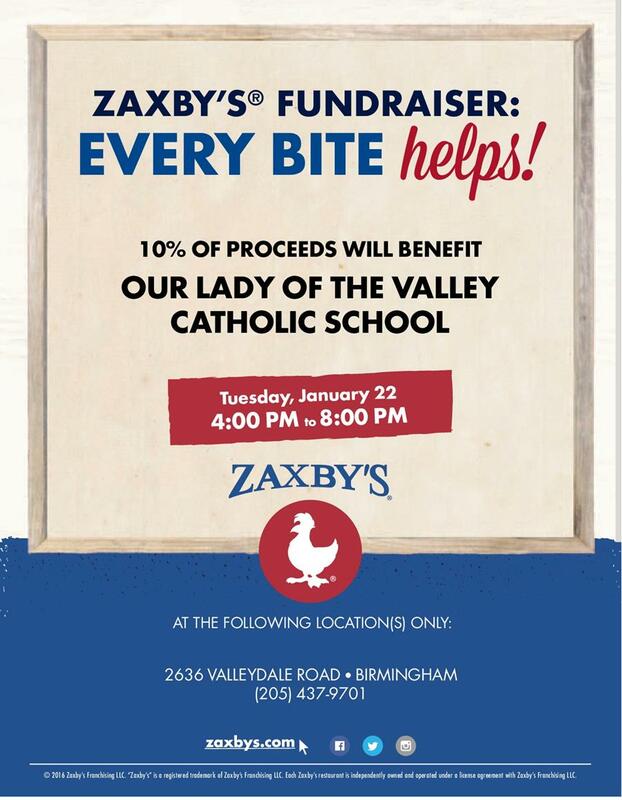 WE NEED YOUR HELP to make this fundraiser a success. 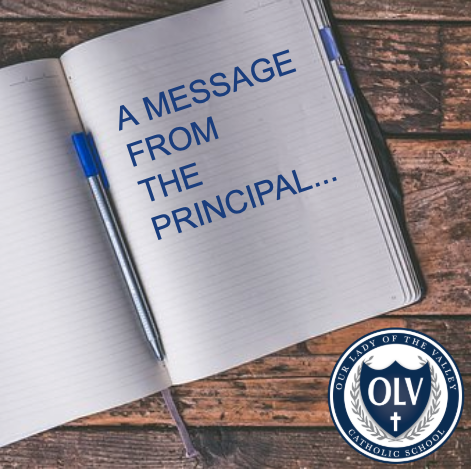 Join us for an organizational meeting on Thursday, 1/24 at 6:00 pm in the Social Hall. An additional goal for 2019 includes a new playground and outdoor enhancements! Click on the graphic above for details! 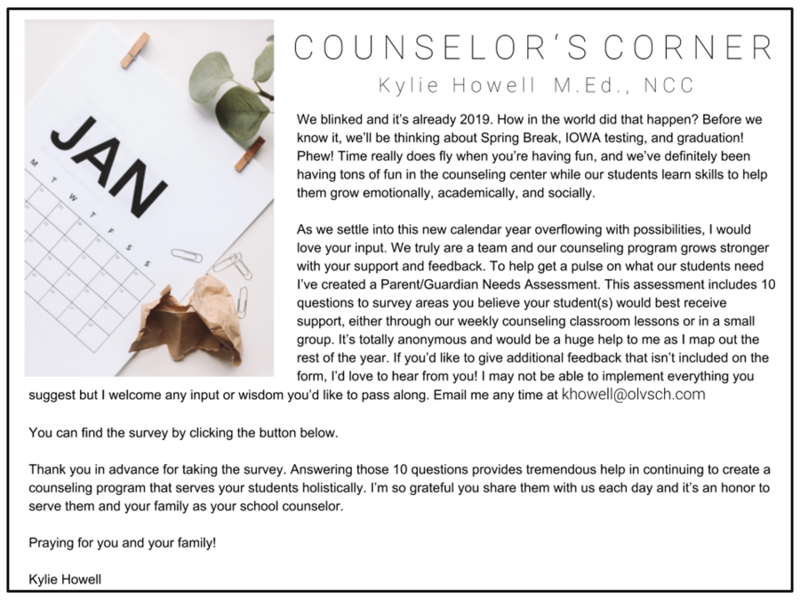 Will you help us? We are looking for sponsors and donated items, gifts, goods, and services from companies and individuals. If you own a business, please consider a sponsorship or donation. If you know someone who might be interested in sponsorships or donations, reach out to them, or send their information to us, and we would be happy to talk with them. Click HERE for sponsorship form. 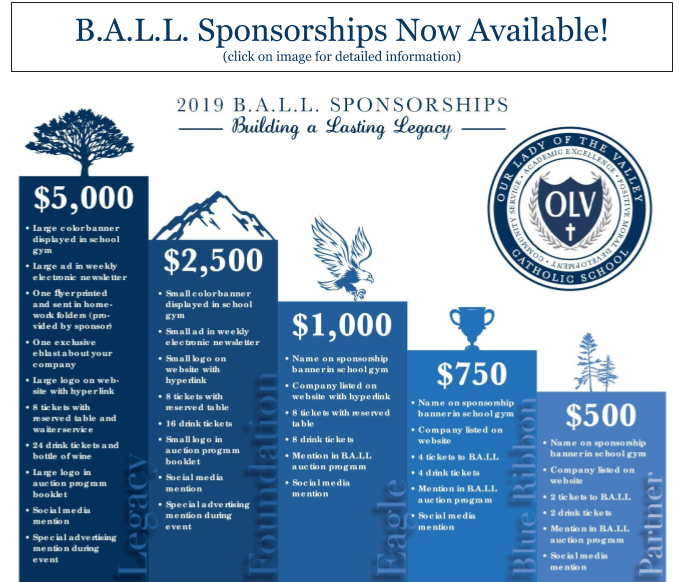 The 18th annual OLV B.A.L.L., will be held on April 6th, 2019. Your willingness to support the education of tomorrow’s leaders is deeply appreciated. 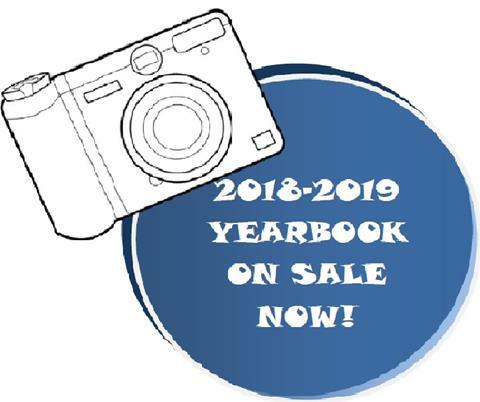 Yearbooks are now available to order. Deadline to order is 3/22. Order form below. You can now highlight your business or your child with a yearbook ad! More information and ad form link below. 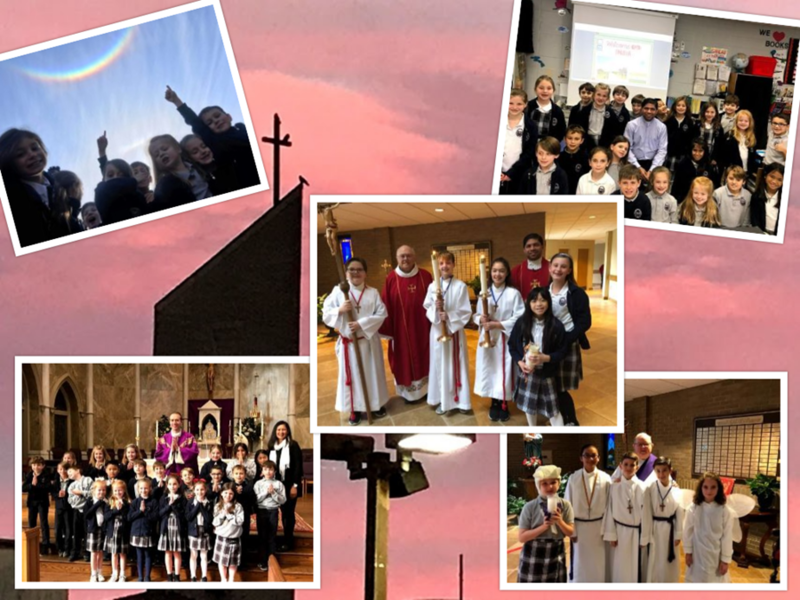 Join fellow OLV parish and school families on a tour of Milan, Venice, Florence and Rome in June 2020! Along with many memorable moments, this incredible trip will include a specially arranged tour of the tomb of St. Peter the Apostle and the Necropolis, and will end in Rome just in time for the start of the Euro 2020 Soccer tournament! Click on the button below to see a detailed itinerary and learn more about this once-in-a-lifetime opportunity! Limited spaces available.